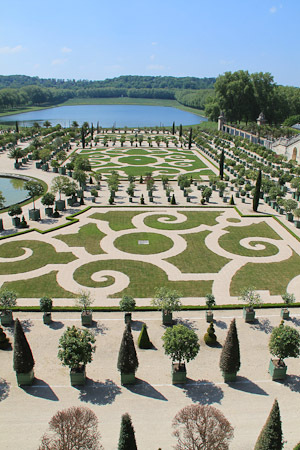 The gardens of Versailles occupy part of what was once the Domaine royal de Versailles, the royal demesne of the cahteau of Versailles. Situated to the west of the Palace, the gardens cover some 800 hectares of land, much of which is landscaped in the classic French Garden style perfected here by André Le Nótre. Beyond the surrounding belt of woodland, the gardens are bordered by the urban areas of Versailles to the east and Le Chesnay to the north-east, by the National Arboretum de Chévreloup to the north, the Versailles plain (a protected wildlife preserve) to the west, and by the Satory Forest to the south. 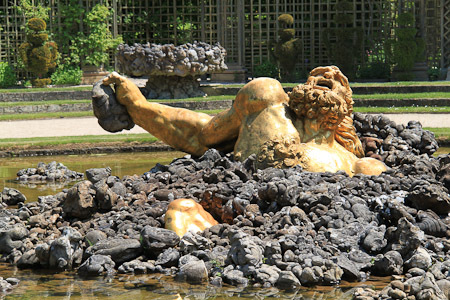 As part of le domaine national de Versailles et de Trianon, an autonomous public entity operating under the aegis of the French Ministry of Culture, the gardens are now one of the most visited public sites in France, receiving more than six million visitors a year. 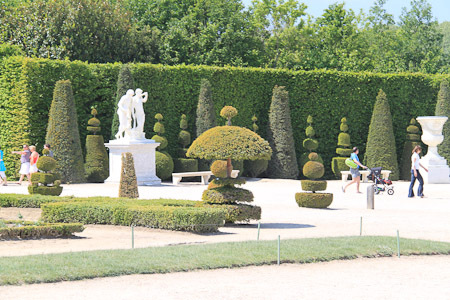 In addition to the meticulous manicured lawns, parterres of flowers, and sculptures are the fountains, which are located throughout the garden. Dating from the time of Louis XIV and still using much of the same network of hydraulics as was used during the Ancien Régime, the fountains contribute to making the gardens of Versailles unique. On weekends from late spring to early autumn, the administration of the museum sponsors the Grandes Eaux – spectacles during which the fountains in the gardens are in full play.